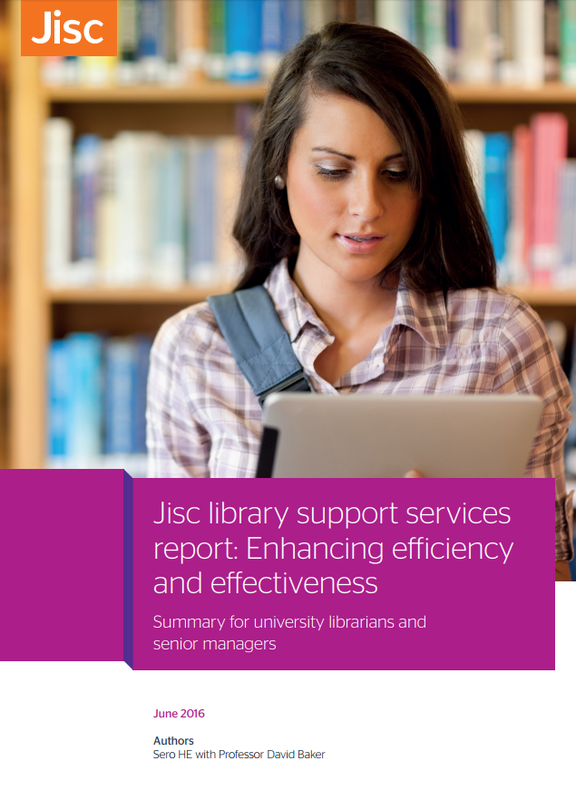 Part of the work to transform Jisc’s library support services includes presenting a clearer image to our users of what our offer to libraries is. With that in mind, we have begun to refresh our Library Support page. The aim of the refresh was not to present just a list of our services as before, but rather align those services to functions carried out by libraries while explaining how those services offer time saving, sector wide efficiencies and benefits. In developing the page, I drew upon the areas set out in Techniques in Electronic Management (TERMS) as developed by Graham Stone, previously of University of Huddersfield and Jill Emery, Portland State University and in conjunction with the library community. TERMS addressed electronic resources so I wanted to ensure the functions identified, for example, Discovery and Delivery, were still relevant for non-electronic based resources such as print books and archives, which several of our services support. Any feedback on the terminology or the page would certainly be welcome as this page needs to work for the people it is aimed at. The new page also includes details of any events, training as well as the latest news relevant to libraries. Further pages will be developed over the next few months to provide more detail about our offer in this area. Posted by Siobhán Burke on 21 November 2016 in Communications.